Wonderful city Kharkov filled by a huge number of cultural institutions, where it’s possible interesting and pleasant to spend time. Now one of such places is heated by infrared heaters TM Teplov. 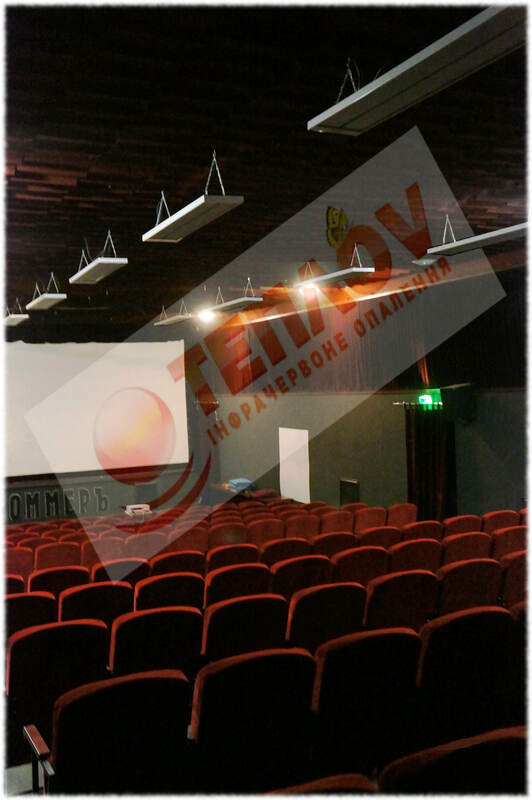 This is not a café or restaurant, not a concert hall or museum – this is a cinema, where daily perfect spend time big number of children, students and adults, which come to have a rest, to dip into exciting world of cinema or in fairy atmosphere of animations. 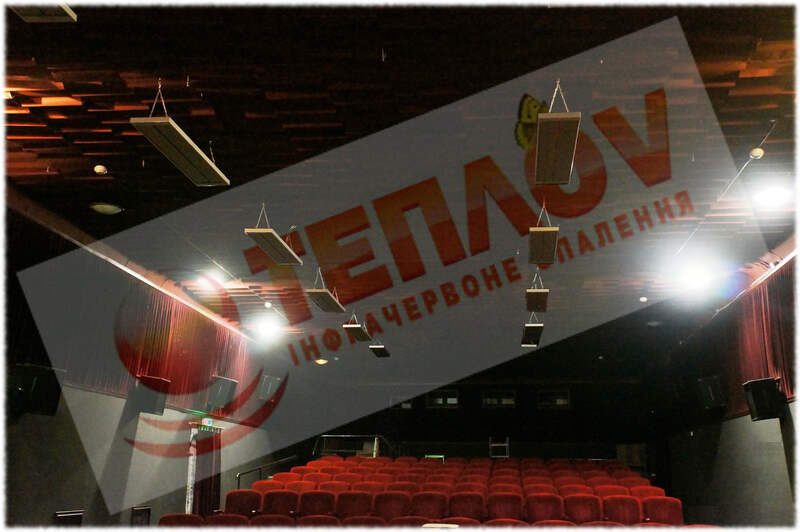 Heating of the cinema – it’s a new experience for our specialists and new examination for our technologies, which they passed easily. We fastened long-wave infrared heaters at all perimeter of the hall, hanging them and firmly fixed on ceiling. In such a way, it turned out to cover all places, where people will be situate at time of sessions. 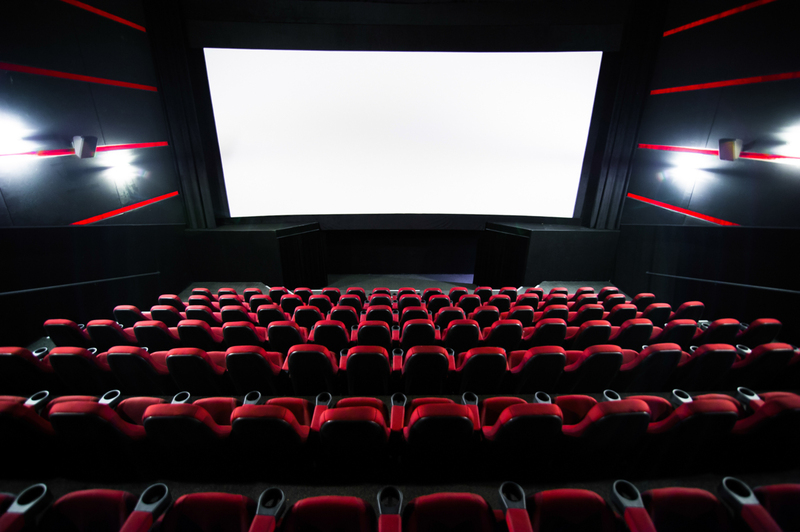 There is a row of considerable advantages of using just infrared heating in cinemas. First of all, they are not the source of light, which mainly may prevent to the quality of projection the film to screen, divert the viewers and prevent the full dip in the atmosphere of cinema. Also only IR heaters can heat equally and qualitative such big premise as cinema hall, without draughts, odd noise and smell at time of work. The infrared heating gives possibility constantly support the necessary temperature in premise without man’s interference, because such function provide thermoregulator of programmed type, which possible to install for heaters control. IR rays heat all surfaces in the hall, that increase comfort of presence there from first minutes, because man come and sit on warm and comfort places in expectation of exciting action. 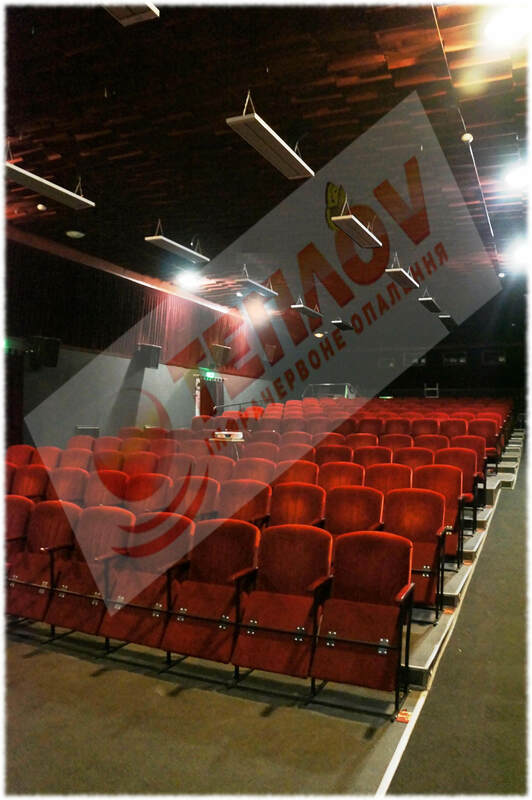 In a such case, just IR heating open new possibilities for heating of cinemas and others establishments in a wonderful Kharkov city.